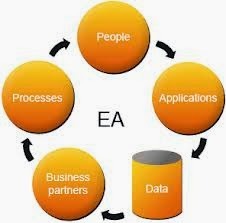 Enterprise software also termed as Enterprise software application (ESA) is an application designed to integrate various processes and operations of an organization to meet its business needs. In general they are specifically designed for large business units, schools and clubs where business operations are too complex to operate. ESA provides a logical support in effective functioning of any big business entity. It helps an organization in performance and integration of various functions such as resource planning, procurement of raw materials, inventory control, manufacturing, marketing, sales and distribution, accounting, finance and human resource management. Customer Relationship Management (CRM): It helps any company in the effective management of its customers. It helps to learn about the type of customers, their need and buying behavior to enhance the quality of its market plans and sales forecasts. Enterprise Resource Planning (ERP): It manages and integrates various key areas of the business such as planning, purchasing, inventory control, sales, marketing, finance, human resources through different modules. 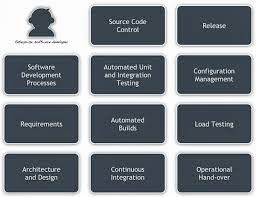 It has been designed to record and manage the database to ensure the effective functioning of the organization. Business Intelligence (BI): It allows an organization to retrieve any data from its raw data source through its various components such as tabular reports, spread sheets, charts and dashboards to reveal insight to make better and quick decisions. Supply Chain Management (SCM): SCM is an application that helps to exercise effective control over the chain of supply. The basic idea of this application is to control internal inventories, increase the speed of product delivery by real time data exchange and to increase the revenue by customer satisfaction.